Biratnagar holds the title of the second biggest city of Nepal. Located in the Morang district, Biratnagar has a large number of industries that have a great impact on the economy of the country. After the establishment of the first large-scale industry of Nepal (i.e.) Biratnagar Jute Mill, Biratnagar has progressed towards other industries and hence is known as the industrial capital of Nepal. Biratnagar may not offer you much but as a tourist gateway, it unlocks the top destinations of Nepal. It acts as the centre to travel to desired destinations like Taplejung, Basantapur, Koshi Tappu Wildlife Reserve, Itahari, Dharan and Dhankuta. Moreover, Biratnagar is near to the border of India. Driving through Koshi Highway, you can reach either Biratnagar or Jogbani within 30 minutes. You can also easily access other Himalayan states of India like Sikkim and Darjeeling. The city is the birthplace of five prime ministers of Nepal. The name "Biratnagar" is named after King Birat, a Matsya king who fought in the great war "Mahabharata". Visit the over 80 years old industry of Nepal, known as Biratnagar Jute Mill. It was established in 1936. It is one of the famous places of the history of Nepal. The first democratic movement was started here under the leadership of Prime Minister Girija Prasad Koirala which successfully abolished the Rana rule in Nepal. Another antique site to visit is the ancient palace of King Birat (a Matsya king who fought with his sons in great war "Mahabharata"). Explore the ruins of the kingdom that have been well-preserved. You can see historically and archaeologically significant instruments and documents of King Birat. The Kali Temple that lies in the heart of the town is a beautiful Hindu pilgrimage site. It is crowded during Nepal's biggest festival, Dashain. A large number of people visit this temple and worship Nav Durga known for the 9 different incarnation of Goddess Kalika. One of the best things about travelling to a place is to try its specific food. Sekuwa known as roasted meat is a must try food in Biratnagar. 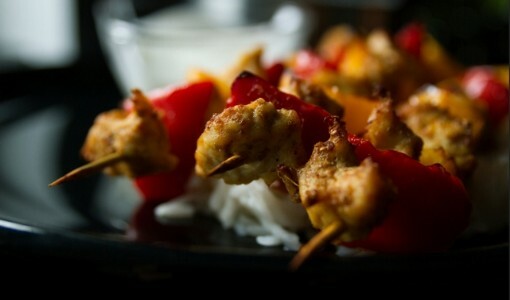 It is popular due to its unique spices and cooking style. Do not miss the varieties of sweets, chats and other local delicacies at Biratnagar because they have got some mouth-watering blend in it. Biratnagar is the gateway to the beautiful Koshi Tappu Wildlife Reserve. Occupying an area of 175 square kilometres, the Koshi Tappu Wildlife Reserve is the smallest national park in the Terai plains of Nepal. It lies on the floodplains of the Sapta Koshi River in south-eastern Terai. It provides shelter to 485 bird species. The Koshi barrage and the Koshi River are the best places to spot some migratory birds. The endangered bird species like Bengal Florican, Sarus Crane, Black-necked Stork, Red-necked Falcon, etc. are recorded here. However, it is not only birds that represent the reserve. The river is home to mugger crocodiles, turtles, fishes and Gangetic Dolphin. Animals like Blue Bull, Arna, Spotted Deer, Wild Boars and Hog Deer can be spotted roaming around the reserve. An hour's drive away from the industrial town of Biratnagar lies one of the greatest Hindu pilgrimages of Nepal. Baraha Chhetra is situated on the confluence of Sapta Koshi and Koka Rivers. Sapta Koshi River is formed by meeting 7 Koshi Rivers. 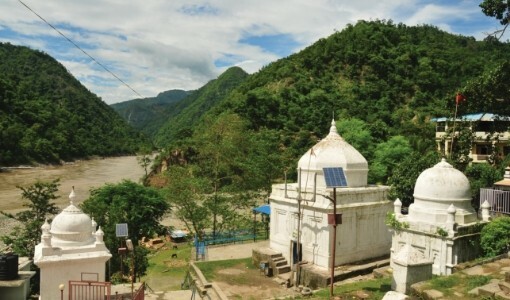 Baraha Chhetra is the spot where Lord Bishnu’s avatar, Barah (boar) killed a demon known as Hirayankashyapu. People take a bath and worship here to get rid abolish their sins. The temple is dedicated to Lord Vishnu where you will find beautiful images of the Baraha in the temple and its surroundings. Dharan stands out as the most distinguishable city of Nepal. It was once used as a recruitment centre for the Gurkhas soldiers. Dharan is 40 km to the north of Biratnagar. Dharan lets you explore amazing things from sightseeing, shopping, food to picnic and hiking spots. A small hill station called Bhedetaar is located 20 minutes away from the main bazaar of Dharan. Delivering spectacular views of Dharan city, Bhedetaar is becoming a popular destination. Similarly, Char Kose Jhadi which lies between the way of Itahari and Dharan can be seen easily from here. 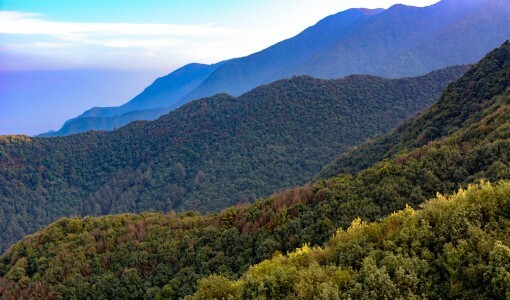 Char Kose Jhadi is the largest and the densest forest in Nepal. To enjoy the nature or peaceful atmosphere, Biratnagar lets you explore the nearby places such as Hile, Koshi river and Forests of Tinjure, Milke and Jaljale. 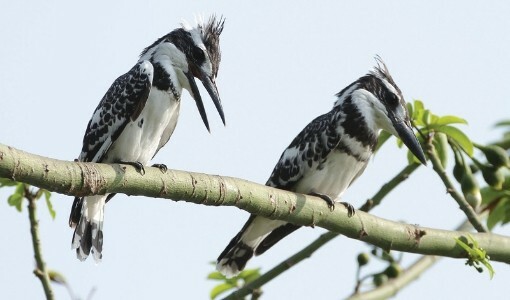 Koshi Tappu Wildlife Reserve is 90 minutes drive from the city and home to a number of species of birds. It is surely fun to watch them flying around. Flocks of migratory birds from Siberia and Tibet can be seen during winter. Black-hooded Oriole, Bengal Florican, Black-crowned night heron, Lesser adjutant stork, Swallow, Citrine Wagtail, Pied Kingfisher, Sarus Crane, Black-necked Stork, Red-necked Falcon, etc are recorded here. Experience watching water animals and notorious buffalo species called "Arna". Moreover, it is the best spot to experience the sunrise and sunset view. Trek from Basantpur, the base village for trekking. Enjoy the natural beauty of Nepal by trekking to Milke and Jaljale. Milke and Jaljale give you splendid views of the Everest, Kanchenjunga and Makalu which are some of the largest mountains in the world. If you want to have closer views of magnificent mountains such as Mt. Kanchenjunga and Mt. Manaslu, you can always trek from Taplejung or Tumlingtar. Enjoy fishing and rafting on the Koshi River. The river travels across Nepal, India and China and it has a number of aquatic animals. The water of Koshi River is considered holy. People who take bath in this river is believed to attain heaven. The majority of people are Hindus, followed by Islam, Jainism, Kirat, and Christianity. People speak Nepali and the respective ethnic groups speak their mother tongue. Biratnagar is also the home to Tharu people and most of them belong from Sunsari and Morang districts. The art and literature of Biratnagar is quite popular. It is the land for many literary personalities such as Dev Kumari Thapa, Bal Krishna Pokhrel, Bhanubhakta Pokhrel, Biwas Pokhrel and Nawaraj Subba. Biratnagar has a range of special festivals to celebrate such as Maghe Sankranti, Dashain, Chhath and Krishna Janmashtami. Maghe Sankranti is celebrated in the first day of Magh. Baraha Chhetra is the best location for celebration. Sesame seed laddus, molasses, ghee, sweet potatoes and yam are prepared specially to serve in this day. Kali Temple is famous during Dashain. To observe Chhath, visit the Singhiya River and the Keshalia River in Biratnagar. Finally, Krishna Janmashtami is celebrated by pulling a holy cart across the city. It is the largest rath yatra in eastern Nepal. 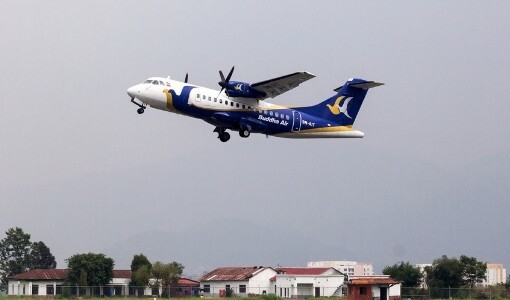 Buddha Air has daily flights from Biratnagar to Kathmandu and from Biratnagar to Tumlingtar. Biratnagar Airport, also known as Gograha Airport is a domestic airport serving Biratnagar, Nepal. Buddha Air operates 6 flights daily to Kathmandu from Biratnagar. The duration of the flight between Biratnagar and Kathmandu is 40 minutes. Buddha Air also has daily flights between Biratnagar and Tumlingtar, to offer more domestic route networks for passengers. The duration of the flight between Biratnagar and Tumlingtar is 20 minutes. A trip to Biratnagar is unlike any other you will experience in Nepal. It will be an unforgettable tour that will give you the amazing experiences to cherish throughout your life.